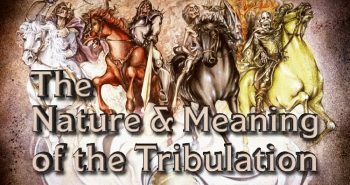 There is a mysterious passage in Revelation 13 that implies the Antichrist might be killed and resurrected from the dead in the middle of the Tribulation. Is this what the passage means, or does it mean something else? 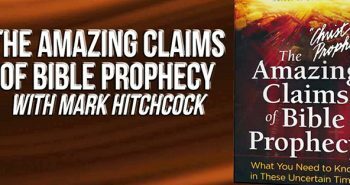 Will the Antichrist be killed and resurrected from the dead? Lamb & Lion Ministries sought out eleven different Bible prophecy experts and asked this question. Of those eleven, two said yes, one said it was doubtful, and eight gave a firm no. Let’s take a look at all eleven answers. I would have to say, yes, because the very same term used of the Antichrist (Revelation 13:1-2) is also used of the true son (Revelation 5:6) as though he had been slain. In the case of Jesus, He didn’t appear to be dead. He really did die. Under normal experience He should have remained dead. And so, He was alive because of resurrection. And the phrase “though he had been slain” is the Greek idiom for resurrected individual, was used of the true son in chapter 5 and is used of the counterfeit son in chapter 13. You have to understand the same way. He will be killed in this war against the 10 kings. He will be raised back to life by Satan’s power. He will continue the war, kill 3 kings, then several will submit to his authority. And, therefore, he will undergo as part of the counterfeit program a counterfeit death and resurrection. Yeah, I think in the Scriptures it seems clear to me from Revelation 13 and Revelation 17 that the Antichrist is going to suffer a fatal wound and come back to life. Now, some people take that it refers to the empire, that the Roman Empire is going to suffer this fatal wound and then the Empire will be revived or come back to life. But, I think it is better to see this as the individual himself. The same language is used of the death and resurrection of the Beast or Antichrist in Revelation 13 that is used of the death and resurrection of Jesus, now back in Revelation chapter 5. Now some people will say, “Now, how is it that Satan has the power to raise people, someone from the dead?” Cause back in Mark 2 Jesus raises this man up who is lame and it is sign that only God has the power to do that. But, it seems to me like in 2 Thessalonians 2:13 it says, “God will send a strong deluding influence upon people in the world so they will believe the lie.” So I think that God will allow Satan to have the power to pull off this great miracle as part of that deluding influence, because obviously God is the only one that has the ultimate power to give life. But, I think that He is going to allow Satan to do that as part of the great delusion that will take place in the end times. This expert was doubtful the resurrection was real. The following experts responded that they do not believe the Antichrist will literally die and be resurrected. No, I don’t. And again, there is a lot of different views on this issue and I think the controversy centers primarily around how you interpret Revelation 13:3 and Revelation 13:11-14. If you go with 13:3, you come up with one way. If you go with Revelation 14 and Revelation 13:11-14, you come up with another way. At least some people do. Now, those who go with Revelation 13:3, they say that it is one of the seven heads that has a deadly wound and it is healed. And they believe that is the not the Antichrist, but that Europe fell apart and was killed, or died and was healed and came back as the revived Roman Empire which was raised from the dead. Those that go down to Revelation 13:11-14, they look at those verses and they believe that those verses are saying that the Antichrist will receive a deadly wound and be healed and raised from the dead. Now, when I look at Revelation 13:3, the way I read that it says “this head looks like,” or “this head is as though,” “this head appears as,” however you want to phrase that, as though it had a deadly wound that was healed. Now to me, there is a little bit of difference in saying it looks like, or it were a wound, a deadly wound that was healed, and actually having a deadly wound that was healed. What I am getting at, when I get down to Revelation 13:11-14, we start reading about the False Prophet, and we see the False Prophet forces people to worship the Antichrist. And the False Prophet uses wonders and signs to persuade people to believe that the Antichrist received a deadly wound that was healed and he was raised from the dead. In other words, the way I interpret that passage it’s saying the False Prophet uses persecution and force and phony miracles and deceit to cause people to believe that the Antichrist was killed and raised from the dead. Not that he actually was killed and raised from the dead, but that he uses deceit and force and things like that to perpetrate that untruth, that false doctrine, or that lie. No, I do not. I don’t think the Bible teaches that. First of all, we have to look at it from a theological standpoint that the evidence that Jesus himself is the Son of God is because of the resurrection from the dead. That is unique in all of human history. As a matter of fact, I want to read a passage out of Romans chapter 1 that speaks to that affect. Romans 1:4 tells us that Jesus was declared the Son of God with power by what, by the Resurrection of the dead. So, we could not possibly have Jesus rising from the dead and saying, “I am the life and the resurrection.” And Satan on the other hand coming up and saying, “So am I, I am the life and the resurrection also.” And also the evidence in the Scriptures don’t indicate that. Revelation 2:18 tells us what it is like to be raised from the dead. Jesus says this, He says, “I am the first and the last I was dead and I have come to life.” We never see that about the Antichrist. In Revelation 13 he’s got 7 heads — 7 kingdoms — one of those is slain. The real commentary on what really happens with the Antichrist is Revelation 17, it says, “He was, he is not and he will come.” That is the language of reincarnation. That is not the language of resurrection. And Satan has raised up reincarnation as the chief antithesis of the resurrection all through history. Satan hates the Doctrine of the Resurrection because of the resurrection of the Son of God. But, when we look at “I was, he was, he is not, and he will come, he was in past history, he is not” during the time of John when John wrote that particular passage and he will come in the future. That is the most it says about the Antichrist and his origins. He will come up by the way out of the Abyss. That also is not the language of Resurrection. He will be indwelled by a spirit that comes up out of the Abyss. So he is two persons in one, he is a man, and he is a spirit from the Abyss. And, he comes up from the past a spirit who controlled a kingdom in the past, comes up and indwells the Antichrist, raises him up in the last days. And perhaps fakes a resurrection, but Satan does not have the power to perform resurrection. No! Actually, I back that up with a couple points. First point is a lot of people point to and make an assumption that the Antichrist is being raised from the dead based on Revelation 13:3. You know John describes a beast with seven heads and that one of these seven heads has a mortal wound and is resurrected and everything. There is problems with this. I see in Revelation 13:1-3 that this is not the Antichrist. This actually represents the seven Gentile nations. And, in this I see it’s: Egypt, Assyria, Babylon, Medo-Persia, Greece, Rome, and the final kingdom or empire that has the wounded head. It is the one people totally disregard and forget about — the Ottoman Empire. That’s a tough one. That could be a reference to the Roman Empire being wounded and being broken up for so many hundreds of years and reviving as the European Union. God does seem to like a lot of symbolism, though. If you look at the seven churches, the seven churches of Revelation were seven actually churches, they also represent time periods, and they also could be representative of the seven churches today. So, the Antichrist could very well have something that seems like he died and then rose again. But, Satan has no power over death. So, if it is a resurrection, it’s going to be another counterfeit resurrection, a counterfeit miracle. No. The healing of that wound is the Roman Empire in which it has two stages. I believe when someone dies you are in God’s hands. Only God can resurrect someone. I don’t think the False Prophet can bring him back to life. I don’t believe the Antichrist is going to be killed and resurrected from the dead because only the Lord Jesus Christ has the power over death. If you look at those passages that have to do with the slaying or the mortal wound of the Antichrist, it says that John saw that he had a wound “as if” he had been slain. Not every mortal wound results in a fatality. People have been healed from wounds that would otherwise be mortal in nature, but for some reason they were not. And, I believe this is going to be a resuscitation more then anything else. I believe that it is going to be fakery. I believe that it is going to be trickery. It’s going to be one more thing in the arsenal of the Antichrist to convince the whole world that he is their Messiah. I do not. I differ here from some other prophecy preachers. I think that passage that says in Revelation one of his heads was wounded unto death represents the multi-headed facets of the kingdom of the Antichrist in the last days. I don’t think that it is an individual that is attacked. I think that you have serious problems with saying Satan will have the power to resurrect the Antichrist. That is a power given only to God in Scripture. Now it may appear to be a resurrection if it is an individual attack, but not a real resurrection. It is a pseudo-miracle at best. I think that it actually represents the fact that part of his kingdom will be devastated and that part of the kingdom will be revived. Could that apply to a nation, for an example like Germany, that was totally destroyed and has now come back to power as a major leader in Europe and as part of the kingdom of the Antichrist of the end times… I think that is certainly a very real possibility. I side with those who believe the Antichrist will not be killed and resurrected from the dead. I think the passage is speaking of the Roman Empire rising from the dead and not the Antichrist. But, if it is speaking of the Antichrist, I do not believe he will be resurrected from the dead. Instead, I believe his death and resurrection will be a deception using modern technology. I hope you found those answers as fascinating as I did, and I hope the discussion will drive you into the Scriptures to judge for yourself the meaning of Revelation 13:3. Next PostCould The Antichrist Be Alive Today? I believe, also, that it will be a deception through modern technology. Now that we have gone all digital in television signals it could sure make it much easier to pass off a "fake" death. My husband and I were watching the races on TV this past weekend and it was very conviencing when they showed some guy on the track with cars zooming past him EXTREMELY close…….they made it known that it wasn't real, but they sure made it look that way. I've always been impressed with the line computer painted on a football field which all the players run over. one more thought if i may: can satan posses a dead body? cuz if so then it aint really a ressurection is it? the anti-christs` spirit is in hades yet satan has possesed his body giving the appearence of a ressurection. is that possible? Every word in Revelation is the literal the Word of God. Revelation 1:1.
kephalē head : is a head in the sense of that of a human being or an animal. Loss of the head destroys life, and results in the death of that living thing. sphazō meaning to slay, slaughter, butcher, put to death by violence, mortal wound. thanatos meaning the death of the body; that separation (whether natural or violent) of the soul and the body by which the life on earth is ended. These three keys words literally mean a mortal head wound which has killed the body. The body has died. This passage means to me that a man will endure a mortal head wound that will end his earthly life. The therapeuō (healing) of this wound appears to be a superficial or applied therapy which gives the appearance of this man being alive again, when in fact he is most likely a corpse who is re-animated. This deception is the cause for the human worship of the dragon (Satan) and due to the power given to and demonstrated by the deception of the non-living beast. This is a false resurrection, a deception, the greatest deception ever manifest by Satan IMHO. SeanOsborne, interesting theory. I have trouble believing the Antichrist will be purely an indwelled corpse for 3.5 years, though, due to his punishment "into the fiery lake of burning sulfur" upon Jesus' return at the end of the 7 years (Rev. 19:20). I have to stick by McGees point of "as if" he were slain. That says to me he will recover from what would appear to have been a fatal wound. Think of JFK's head wound. Imagine he had not died instantly but still had some signs of life (which I think was the case). Imagine if JFK had managed to miraculously survive that massive head wound and recovered. For all intents and purposes, that was a fatal wound. If someone were to survive it that would be considered a miracle beyond belief. I believe only the power of life and death of the soul strictly is in God's control. I believe I can't proofread correctly all the time. My last sentence should've read "I believe the power of life and death of the soul strictly is in God's control." I've always thought that it was an actual head-wound. John writes "as if dead". Couldn't that be what we today call a coma? And somehow, after 3 days, he is miraculously healed? And, Junbuggg, I saw that race and how they used a computer to superimpose Wally Dallenbach onto the racing surface. If I hadn't known better, I'd've thought he actually WAS on the racing surface. The technology is amazing. So even a faked death couldn't be out of the question. So all that to say this: I don't know. Thunder said "So all that to say this: I don't know." Basically that is everyones answer in a nutshell. At least one of us will find out for sure…our buddy Mitchell who plans to stick around for the tribulation. Yeah Thunder, when all those cars flew past him, I went WOOOHH and flenched back! On the serious side though, someone said the other day that maybe the "great deception" will be that there won't be a pre-trib rapture, as many of us today believe, including me, and that that will be how many get pulled into the anti-christs web. Even if that turns out to be the case, no pre-trib rapture, I believe that we are all knowledgable enough about the Bible to be able to recognize the anti-christ and not follow him or take his mark. I guess this is a debate, pre-trib/no pre-trib, that will continue on. "SeanOsborne, interesting theory. I have trouble believing the Antichrist will be purely an indwelled corpse for 3.5 years, though, due to his punishment "into the fiery lake of burning sulfur" upon Jesus' return at the end of the 7 years (Rev. 19:20)." That's how I interpret that particular passage in Revelation 13:3 and Revelation 13:4. These verse speak expressly to the antichrist's human body. I beleive that passage you cited in Revelation 19:20 speaks to that of his spirit for all eternity. Interesting theological point you bring up, Sean (as always!). Will it be spirits consigned to Hell, or resurrected bodies? We do know that the unjust will be resurrected at the end of the Millennial Kingdom for the Great White Throne Judgment and then consigned to Hell. Resurrection involves getting a rebuilt body. Because even the unjust get resurrected bodies, I would have to conclude that the False Prophet and Antichrist when sent right to the Lake of Fire must then also have their bodies, and would not be mere spirits. Dr. Reagan wrote a great article on resurrections and judgments that's well worth the read. i believe the antichrist is primarily a fallen angel (not satan, but given authority by satan), and possibly will possess a human though i'm not sure about that because aren't all humans judged before the lake of fire? "Interesting theological point you bring up, Sean (as always!). Will it be spirits consigned to Hell, or resurrected bodies?" This is truly a theological discussion on the highest order of magnitude! I believe the resurrection for the Great White Throne (GWT) judgment is something else altogether. The original question posed deals with events during the 7 years of Daniel's 70th Week. It deals with what I believe is the human body of the man who will be the "beast", the antichrist, the "in lieu of messiah" deception fostered by Satan. I believe both a demonic spirit out of the abyss (Luke 8:30-31 and 2 Thess. 2:3-6 and Revelation 11:6and especially Revelation 9:1-11) as well as Satan will physically possess that mans body during the Tribulation (first 42 months) and then the Great Tribulation (second 42 months), respectively. At the conclusion of Daniel's 70th Week (Revelation 19:20) the beast is "cast alive" into the lake of fire with all of the others. How does a physical human body survive for 1000 years in that environment? The GWT judgment occurs 1,000 years later exactly as Dr. Reagan points out in the article you linked. In the interim the spirit will be held in the lake of fire. Great discussion of incredible Scriptural deapth! Junbuggg, the way I see it is that if a Christian is expecting to meet Christ any day and is maintaining a close relationship with Him based on that expectation – then that person will not be deluded. Moreover, given that position, God will give that person the strength to cope with any persecution that may occur prior to the tribulation. I have little time for people who put forward the satanic delusion canard against opposing viewpoints, whether regarding the rapture or any other eschatological subject. Fellers, I think when we refer to AC being thrown bodily into the Lake of Fire, we are not refering to Hades. These are two separate places (although some say that the LoF is in the center of Hell; i.e. 23 Minutes in Hell by Bill Weisse). Hades is the place of the dead. Remember the parable of Lazarus and the Rich Man? Both were in this place, but one was suffering and the other wasn't. And they could see one another. Notice there is no mention of a resurrection or new bodies. The LoF, on the other hand, is a place of eternal torment for physical, ressurected bodies in the post-GWT universe. I'm not saying this is fact, just the way I read it. And, you know, I really hope believers don't have to go through the Tribulation. I'm barely holding on now: my stress level is through the roof right now. I couldn't imagine having to go through worse. To ever say that the antichrist will be resurrected, or suffer a fatal headwound and be brought back to life by the devil is complete HERESY, plain and simple. Only God is the giver of life, and if the devil could ever perform such miracles then he could have pretended to be a Christ and deceived us all. anonymous, i disagree with you in part, and agree with you in part. to say only God is the giver of life is right and i agree. to say if the devil could perform such a miracle he could have pretended to be a christ also i agree. the point(s) i disagree about is this, heresy is a very strong word to be thrown around. a heritic is one who knowingly (not ignorantly) holds to and promotes a doctrine that goes against a closed-handed (one essential to salvation) issue. while God is the giver of life perhaps its POSSIBLE God gives that power to suit his divine purpose in sending a powerful dilusion. By your definition the Mormons and other cults do not teach heresy hartdawg. And I do not believe that God would allow the evil one to ever possess the power of creation or of life. The Word says that the deception will be so great that even "the elect" might be deceived. The elect are believers filled with the Holy Spirit. This deception is apparently beyond human comprehension and speaks to great satanic deceiving power. Never, EVER underestimate the enemy. When the deception happens in full force it will be obvious to the elect because we keep the true Word of God within us. That is why we will not be deceived. We know the Truth. If it were possible the elect would be deceived, but it is not possible for the elect to be deceived. I have no real opinion regarding the apparent resurrection of the Antichirist, and whether or not this actually relates to a kingdom revival (Rome/Ottoman etc). If it does refer to man being brought back to life then this is because God is permitting it. We assume Satan can’t do this but perhaps there are dynamics involved that we cannot yet comprehend. actually the mormons deny the virgin birth which is an essential doctrine. lest i'm mistaken dr.Reagan did some articles on this and you may be right about God not letting the evil one posses that power and sean, i may be mistaken but i believe the term "elect" in some contexts refer to christians and other contexts (matt 24?) isreal and the jews. Revelation 17:8, "… behold the beast that was, and is not, and yet is." …and is not: From 1798ad until the signing of the Lateran treaty in 1929 the Roman Church/state was non-existent. …yet is: From 1929 to present the Roman Church has been a church & state. The killing of three kings has nothing to do with the future. It already happened. Daniel 7:8 says that as the little horn rose up, it plucked up three other horns by their roots. It was papal Rome that when it rose in power, destroyed these three nations. It is not a resserection in the sense of truly being dead ! As in death for a peroid of time..
not even the 3 days that our Lord Jesus has rissen from.. It is the recovery of a mortal wound..the act itself is a healing.. that is all.. Almost within the scientific boundaries of known science today..
the mortal wound is merley healed..
he is not truly dead..as in death..
and the one True God..Our Father which art in heaven…. Jesus My saviour..thank you for your teachings.. I haven't seen anyone given any thought to Osama Ben Laden, didn't he supposedly die from a head wound? I have so many questions about Revelation yet never seem to find answers. Such as: what does it mean about Death and Hell being the 5th horseman? Is death suspended briefly up until the time of the locust/scorpion attacks for 5 months? The Bible says that men will seek death and not find it. I take that to mean that they CAN'T die even if they try for awhile. Finally, the head wound of the antichrist must really be a bad one to make all the world (except the wise) wonder after him. Could he get beheaded and then healed during a time that people can't die? I'm just speculating because there's no way that I want to add to the words of Revelation or say the wrong things instead of taking it very seriously. Mitt Romney was in a terrible car crash in France where his car was hit head on by a Catholic priest. (Yes, a Catholic priest!) The police pulled Mitt from the car and wrote "he is dead" on his passport. He, of course is alive now. This has so many implications. Did you see the image of Tupak Shakur that was "resurrected" on stage before a live, disbelieving audience. If that technology got just a little bit better, why couldn't a government "resurrect" a dead leader and make him say and do what they wanted him to? The AntiChrist could be digitally brought back to life after his deadly wound. Why don't your experts agree on Biblical interpretation? To the last first: Apocalyptic Prophecy is a topic which is less open beforehand than such topics which are already no longer beforehand but fulfilled. Revelation 19:20 speaks of two being cast alive into the lake of fire. As to resurrections around Millennium, we take as Catholics Millennium to be the age of the Church, generally "first resurrection" as that of souls by baptism and confession. Does anyone see a connection here to the young girl, Malala, who the world has been watching and 'rooting for' to receive the Nobel Peace Prize? Could she possibly be 'one' of the seven heads of the whole? The media is calling her 'head wound healing' miraculous – and the way the bullet traveled in her head as if it were being divinely directed. She has quite a following with young girls/women chanting in praise of her around the world. Just wondering?? I don't see any connection to this girl who I find most annoying. I turn off the Telly when I see her as she is worshipped by the liberals. I understand your desire to know the truth and especially the Book of Revelation. Just yesterday my hubby and I debated the issue of" wish to die but cannot." There are so many things we won't know as its not for us to know as frustrating as it is. I have posed the question of the A/C to so many end times teachers who cannot explain how the A/C comes on the scene as the tribulation begins then dies and comes back as Abbadon but is possessed by Satan. I just don't see the A/C as being a normal every day man like Prince William or Obama or Dave Rothchilds etc being the A/C. It has to be somebody from way way back. For now i have shelved my questions as it can drive me dilly. You are welcomed to engage debates with me as my hubby and often enter into the what if questions and do come up with answers. Take care. Aside from all this. Just wanted to wish you happy Easter. He is not here: for he is risen, as he said. Come, see the place where the Lord lay. Zacharias 11:17: O Shepherd and IDOL, that forsaketh the flock: the sword upon his arm, and upon his right eye: his arm shall quite wither away and his right eye shall be utterly darkened. Yes, I believe the ANTICHRIST is Mr. Bergoglio. Our Lady of LaSalette warned that the AntiChrist will sit in the seat of Rome. The BEAST are the fake popes that went before him: Roncalli (Modernist/usurper), Montini (MASON/nonpriest/usurper), Wojtyla (communist/nonpriest/usurper who cleverly deceives most lukewarm Catholics), RAT (communist/nonpriest/possibly false prophet who set himself aside for AntiChrist) and JOR (Satan in form of man’s body and forces to honor these evil men in our MASS as SAINTS which invalidates the MASS). What about, Beast literally is dead now, but will be fakely resurrected. It will not be him literally/originally, but His image/copy/android, that inhabitants of the earth (rulers of the world) will make on request of the false prophet who will then breed life/spirit into the image of the Beast, so that it can talk. If its someone who was popular, people will marvel on his return (“coming back from the dead”).